If you’re having a issue with your Logitech Headset G930 driver, don’t panic. It’s a issue that can be easily resolved. You can update your Logitech G930 drivers to fix the issue. 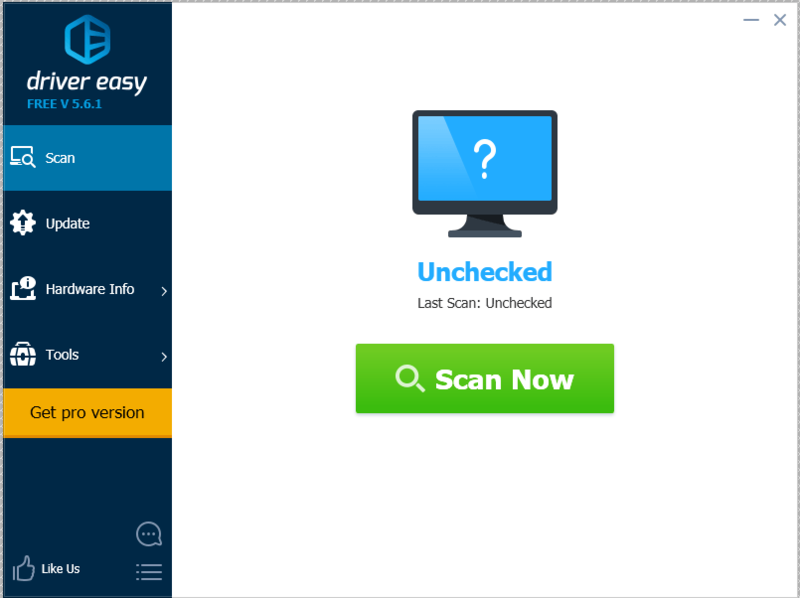 Way 1 – Manually: You can manually download and install it the driver in your computer. This is time consuming, technical and risk. We only recommend it if you’re confident with your computer skills. Way 2 – Automatically (recommended): If you don’t have time or patience, you can try this method to install the Logitech driver with just a few clicks! To download the Logitech headset G930 drivers, you should go to the Logitech website, find the correct driver for your Logitech device. Before you go, you should know clearly about your Logitech device model and your Widows system. You should download the latest version of the Logitech driver, then install it in your computer. This requires time and patience. If you don’t have time or patience, you can try Way 2 to automatically do that. You can also install the latest Logitech G930 driver automatically with Driver Easy. 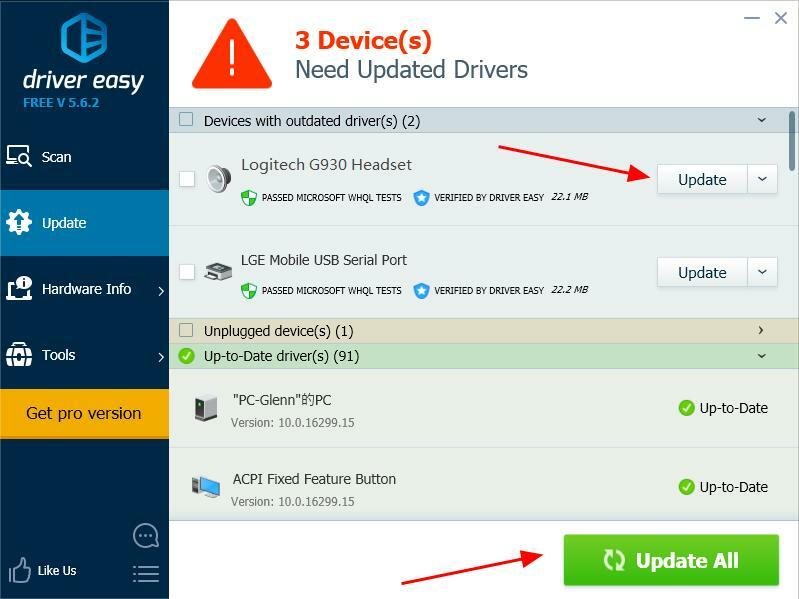 3) Click the Update button next to the your Logitech headset device to automatically download and install the correct version of this driver (you can do this with the FREE version). 4) Restart your computer after updating, and your Logitech headset G930 driver should be working. These’re the two ways to fix the Logitech headset G930 driver issue in your computer. If you have any questions, feel free to leave us a comment below.